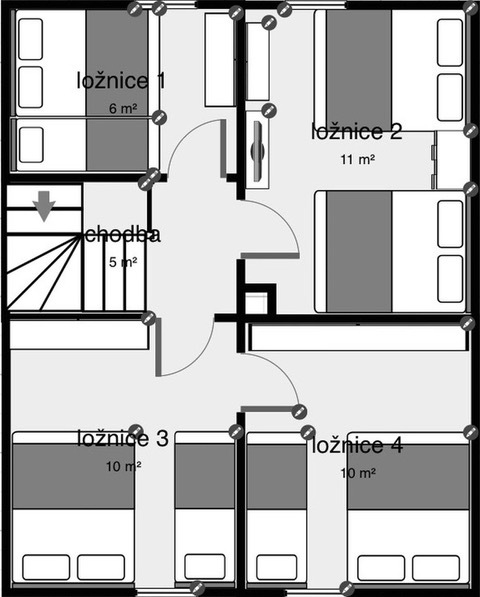 in Krušné hory. 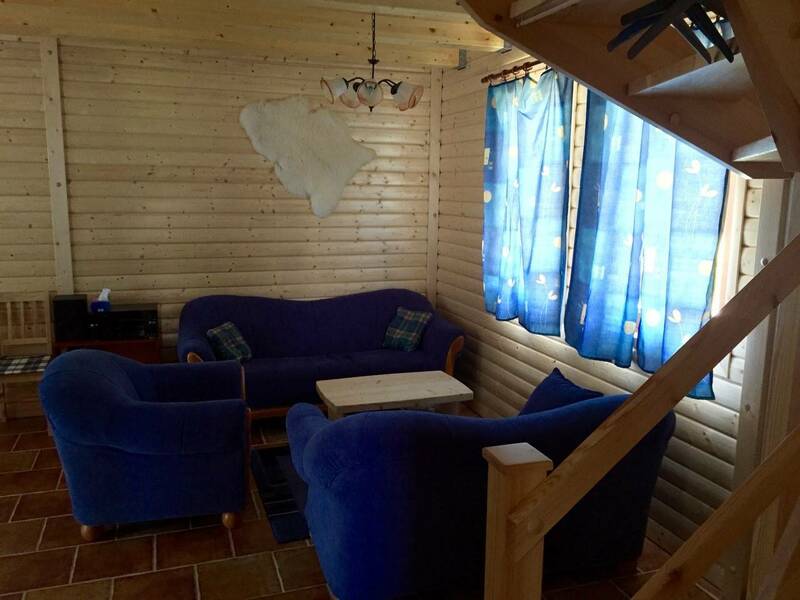 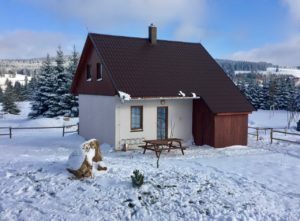 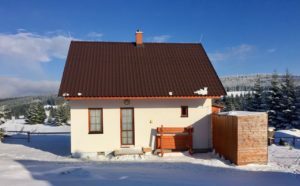 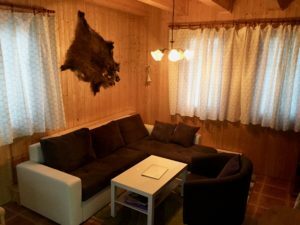 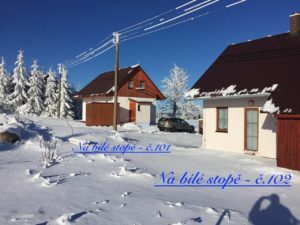 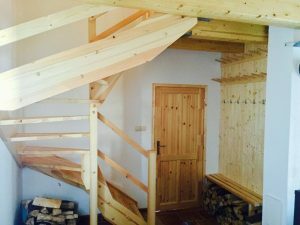 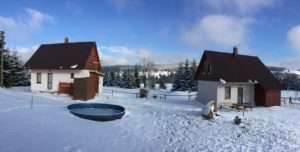 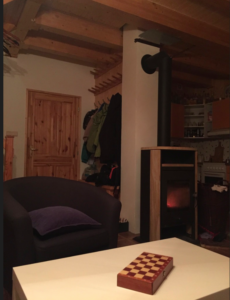 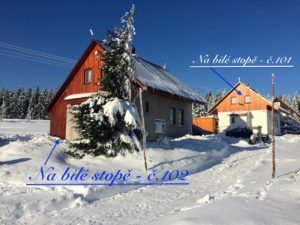 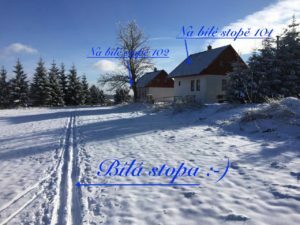 It is situated more than 900 meters above the sea level, in a romantic landscape of Krušné hory, not far from Boží Dar, on the outskirts of the town of Horní Blatná, close to a cross country track. 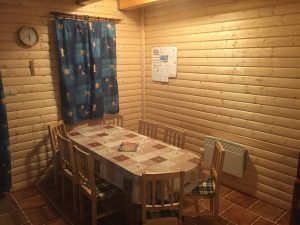 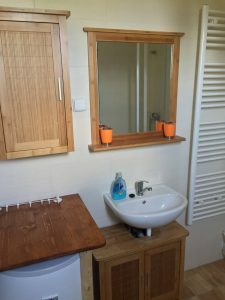 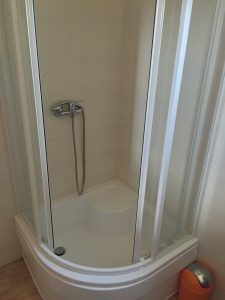 A new small swiming pool at chalets since 1.7.2016.
chalets for rent offers accomodation for up to 24 persons in 7 bedrooms. 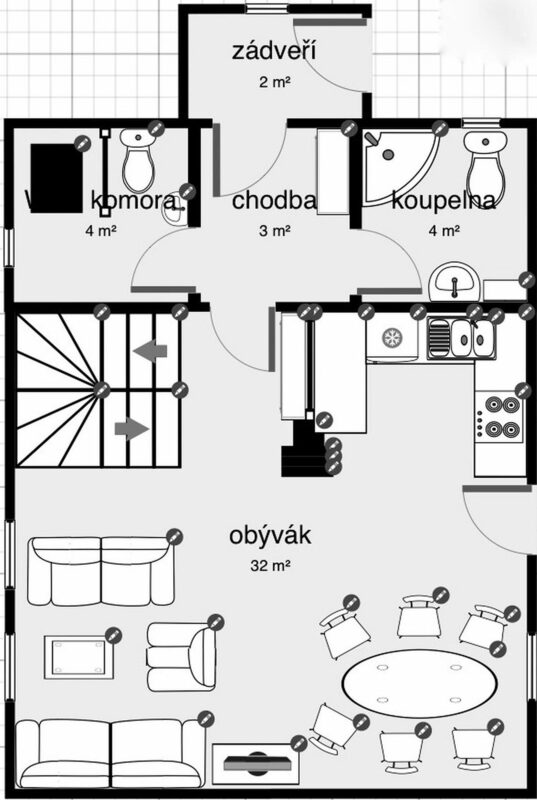 Rooms in No.102: 4 bedrooms (2x 3 – beds, 1x 2+1/2 – beds, 1x 4 – beds), living room, kitchen, bathroom with WC, extra WC, see dispositions in photogalery. 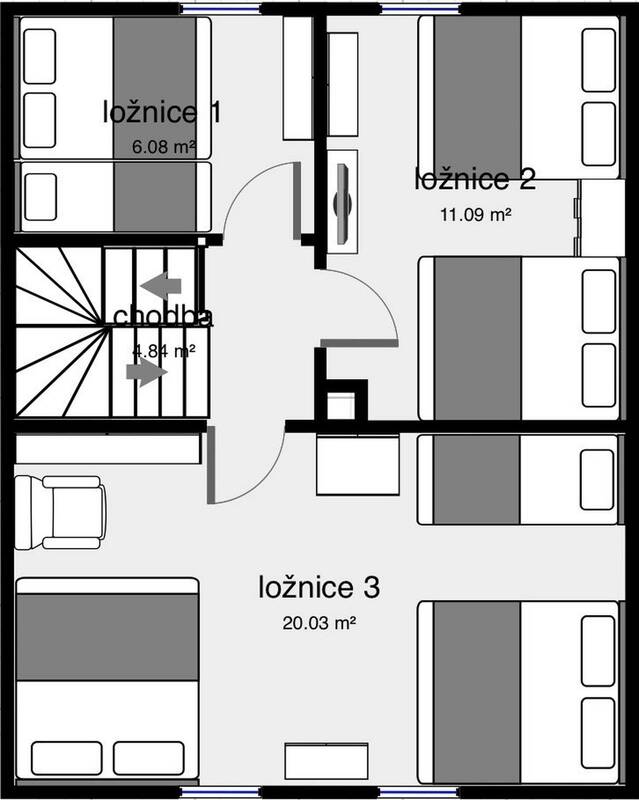 Rooms in No.101: 3 bedrooms (3 – beds, 1x 2+1/2 – beds, 1x 4 – beds), living room, kitchen, bathroom with WC, Ski room, see dispositions in photogalery. 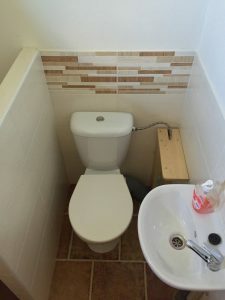 Four Restaurants are located about 10 minutes away. 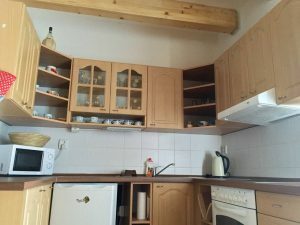 fully equipped kitchen (fridge, freezer, microwave and electric cooker with oven). The lounge has a large dinning table and a living room (with a spacious sofa). 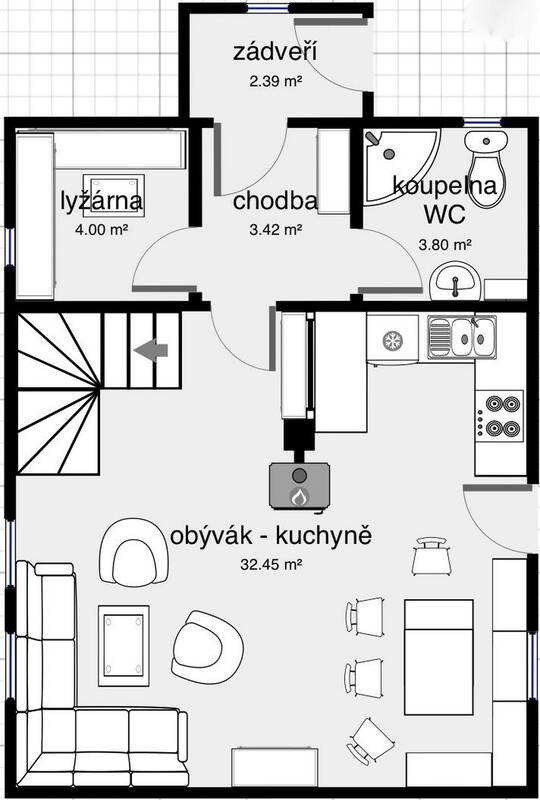 How does it looks inside / outside?